Revered by teeming local supporters, feared by opposing fans, and respected by all, the name Stephen Aidoo is one that will forever resonate in the hearts and minds of all football followers in the country, especially those who witnessed his heroics in the Central and Western Regions. Famed for his strength and bravado, “Aponkye” as he was fondly nicknamed, represented Sekondi XI Wise FC from 2006-2010. He captained the side for three seasons, spearheading their charge from the lower divisions into the Ghana Premier League in 2007. 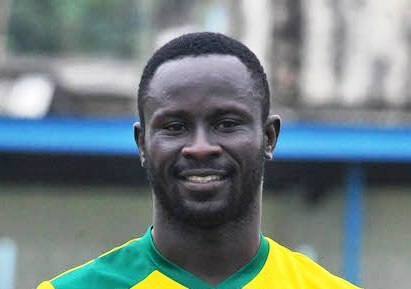 He also spent six years as skipper of the Cape Coast Ebusua Dwarfs, where he entrenched himself as a key figure during the Mysterious Soccer Lads’ foray into the CAF Confederations Cup Competition in 2012. Whether it was timing a tackle to perfection, making a last ditch intervention, or coolly playing the ball out of defense, Steven Aidoo was a player admired along the length and breadth of the country. A centre-back by trade, the stocky and well-built native of Takoradi also gained prominence for his exemplary sportsmanship, professionalism and commitment. The PFAG, haven established itself as home to all of Ghana’s professional footballers, has recently brought Stephen Aidoo on board to serve as its representative for the Central and Western regions. He has been charged with the mandate of helping to bring all professional footballers in those regions under the unifying umbrella of the Association. We truly believe that with his wealth of experience, undeniable passion and infectious zeal, he will prove himself a valuable addition and will leave his mark on the terrain, just as “Aponkye” left his hoof prints all over various football pitches throughout the country! Black Stars Ready to Dispatch Harambee Stars. PFAG wishes Black Stars well. FIFPro Division Africa Congress 2017 Is Here At Last!!!. PFAG Hails Return of Domestic Football as Special Competition Kicks Off.